Just how many OTT apps are we supposed to download? Social media and e-commerce apps have made mobile screen real estate very precious. Where does that leave OTT apps - each with a different library of content? The OTT (Over the Top) space is booming right now. Couple that with affordable mobile data plans and affordable smartphones being launched ever-so-often, OTT apps are, naturally, on the rise too. The fact remains that with so many similar apps to choose from, just like the many OTT platforms available to consumers today, users are spoilt for choice. There's also the fact that these apps take up valuable space on handsets which makes choosing the right ones extremely important. Although apps like Tapzo, which aggregate others like Ola, Uber, Zomato etc. 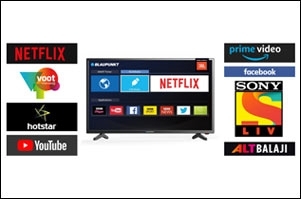 into a single interface exist, there is no app that can aggregate OTT apps or their content under one roof. The experts share their views on what will determine if an OTT app has to find a permanent place on a mobile and the way forward. 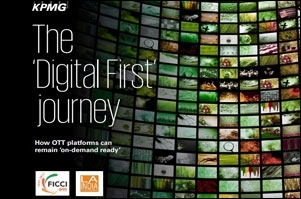 The digital entertainment space in India has undergone a huge transformation. However, lack of storage space in lower-end smart devices is still a reality for many consumers. This makes it important for streaming services to offer differentiators that place them ahead of others in the consideration set. A key distinction for any service is its seamless integration with hardware manufacturers and players in India are working on innovative solutions. In addition, the overall app experience and features also decide retention. Offline mode, customised playlists, content packaging etc. all aid in creating a more engaging consumer experience. As an additional benefit, Hungama Play offers a unique gamification layer that allows listeners to earn points as they use our music platform, giving them the option to redeem these for a premium subscription, thus driving habit in turn. Lastly, users log onto platforms because of libraries that include exclusive, original and regional content. Both of our services offer a vast multi-lingual and multi-genre library that also consists of originals. In the coming years, the industry is likely to focus on these factors to appeal to more consumers. This is a question, as content marketers, we face very regularly. There are two revolutions that would happen - one is content discovery - where the audience will find out which channel or app does what kind of content. Who is doing storytelling, documentary dramas or regional content... And then there's the first kind of awareness where people sample the content; if they like it, they stay/ download the app and if they don't, they will obviously remove it and move on. That's the phase we, as an industry, are in currently. Apps that are looking at very low entry points are also facing similar challenges. The user is willing to pay Rs 20-25 to sample it once. Maybe they come once, watch and move out. Often, in the second month, only a few come back unless there is a very compelling story-driven series. In the near future, the model that will emerge is some kind of aggregator; someone who gives you the best of all platforms and there is this kind of model emerging in the US market already. Content proliferation from the web is now moving to TV as well. So, that is the revolution that needs to happen. As far as how many apps can a user download, at this point there are two types of users that exist: - one who exists on Jio and one who doesn't. The former gets content for free or in a bundle. They get Hotstar and Jio content. So, there is a chance of multiple apps to exist. But for people who are not on Jio, it is still an emerging conversation. I believe it will settle between two-four apps in the end, of which a couple may be SVOD and others would be AVOD or completely free. Today, consumers will make space for good content and apps which regularly provide them with exclusive content. If the user experience of an app is sub-optimal due to UI, tech, advertising or programming, they will switch or delete it. Premium and exclusive content is the fundamental driver. All of us download OTT apps primarily for the exclusive content available on it and not necessarily for the joy of downloading or associating with an app or a brand. In most cases, a particular show, game or sporting league would have caught one's interest and one would have downloaded the app to watch that particular content. This would later result in content discovery on that app. The consumer is hungry for good content in the preferred language of her/ his choice. Aptly put by Nelson Mandela, "If you talk to a man in a language he understands, that goes to his head. If you talk to him in his language, that goes to his heart." At Zee5, we are providing content in your language - whether it is Tamil content dubbed in multiple languages or 'Karenjit Kaur - The Untold Story of Sunny Leone' dubbed in six different languages and so on. So, as long as that is available, the number of apps is irrelevant. 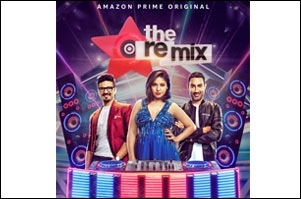 Can Amazon Prime Video make OTT a viable home for reality singing?